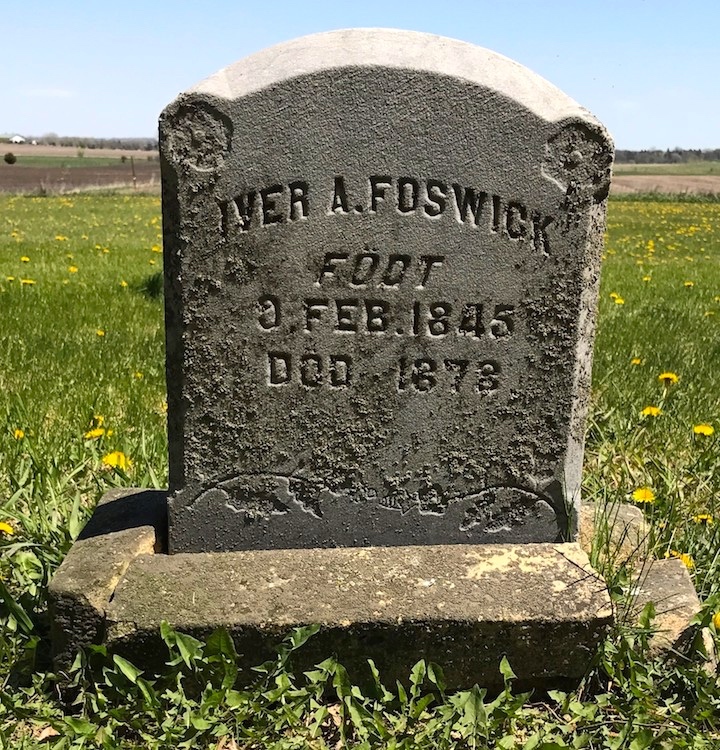 There’s the name Foswelch, another in a series of F-initial family names that Bill Griffith seems to be fond of. And the combination of siding and Baltimore — a natural for Formstone, but also evoking the movie Tin Men. But Foswick seems not to have made it into Zippy. Instead, we get Foswelch. Tin Men is a 1987 American comedy film written and directed by Barry Levinson, produced by Mark Johnson, and starring Richard Dreyfuss [as BB], Danny DeVito [as Ernest], and Barbara Hershey. It is the second of Levinson’s four “Baltimore Films” set in his hometown of Baltimore, Maryland, during the 1940s, 1950s, and 1960s: Diner (1982), Tin Men (1987), Avalon (1990), and Liberty Heights (1999). 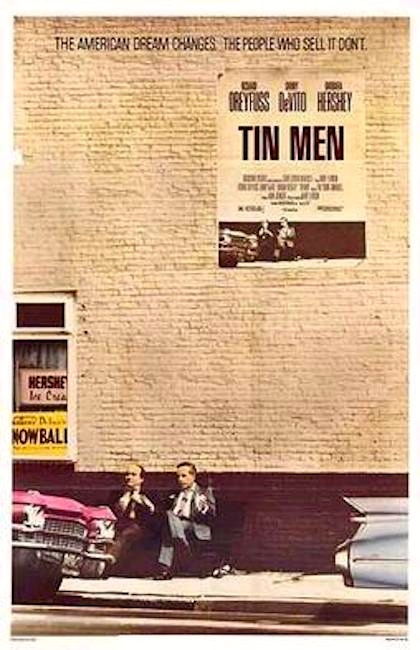 Ernest Tilley and Bill “BB” Babowsky are rival door-to-door aluminum siding salesmen in Baltimore, Maryland in 1963, an era when “tin men,” as they’re called, will do almost anything — legal or illegal — to close a sale. This entry was posted on July 3, 2018 at 4:43 pm and is filed under Address terms, Linguistics in the comics, Movies and tv, Names. You can follow any responses to this entry through the RSS 2.0 feed. You can leave a response, or trackback from your own site. 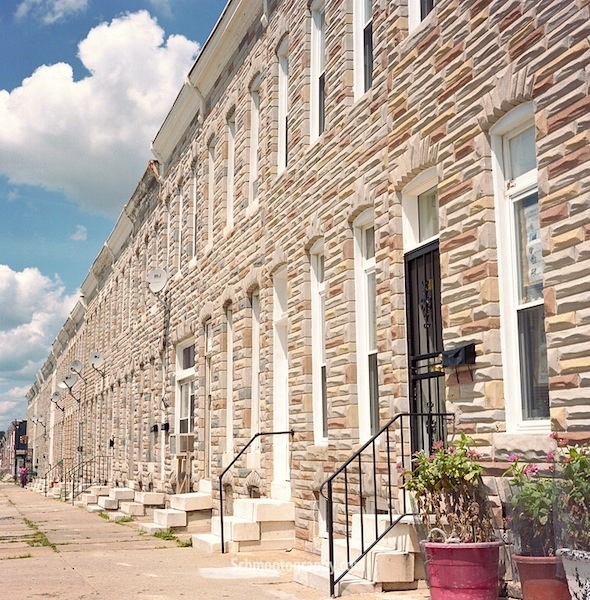 When I lived in Baltimore in the 1990s, the vast majority of row houses were still covered in formstone, and a major issue was how to replace it. It was generally considered a local catastrophe. John Waters described Formstone as “the polyester of brick”; coming from him, that goes both ways. But the stuff is awful; chunks of Philadelphia and SE Pa. cities (like Reading, the city of my childhood) were afflicted, but nothing like the way Baltimore was. Mostly associated with the respectable working class and the striving lower-middle class — my people — but it made only small inroads in my working-class town, which mostly remained solidly sturdy (and handsome) brick (with many slate roofs, slate being cheap and plentiful in the area).